Our ‘family’ of companies provides a complete start-to-finish landscape design and installation process necessary to meet all the needs of each client. The Collins Group, Inc. was formed in the year 2000 to provide top quality landscape installation services for highly detailed projects across the Southeast. After five years of growth and success, The Collins Group, Inc. purchased two companies created by Dabney Peeples: J. Dabney Peeples Design Associates, Inc, his landscape design firm specializing in traditional Southern and European garden design, and Sa Gairdin, Dabney’s garden accents company. The partnership has since continued to flourish greatly. CMHP Design, LLC specializes in landscape design for fine residential properties and some commercial. The firm’s mission is to create beautiful, elaborate landscape garden designs. Old world and new age European with a hint of Old Charleston is the main inspiration for our designs. All of our designs ultimately reflect the unique personalities, style and interests of our clients. The most important attribute to this firm is the respect and satisfaction of each and every one of our clients. We strive to provide the highest caliber of design and performance for our clients. We work as a team with our contractors to provide our clients with exceptional service of a turn-key operation. The designer is on site throughout the construction phase to make sure the project is being executed to every detail of the designer’s eye. 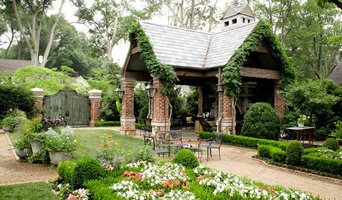 Atlanta-metro award winning Residential Landscape Design & Build plus Garden Design & Installation. Best of Houzz 2015, 2016, 2017 and 2018 City Garden Company's full-service artisanal garden design + build company creates and restores gardens for residential, commercial and community projects. Led by Patrick Bell, his team's broad knowledge base and 15+ years of expertise enable him to turn each project into a one-of-a-kind garden space that reflects the client's needs and lifestyle. Throughout the process of design and installation, he is able to meld ecological nuances and strives to develop systems that enable a garden to self-sustain. We specialize in landscape design, drainage solutions & rain gardens, native plant plans, trellis and pergola construction. We do our own masonry, patios, and stonework. 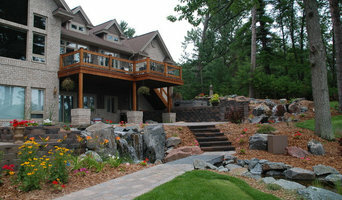 City Garden Company takes pride in producing the best design and using materials build to last. 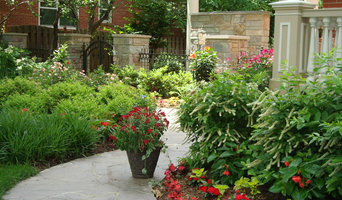 Carolina Landscape Concepts is a full service landscaping company based in Greenville, SC. We offer customized services such as Landscape Design, Landscape Management and Landscape Construction. We have been providing quality services for over 15 years and our business continues to grow with repeat clientele and new residential and commercial projects every week. High Res Studio is a specialized design studio within SW+ that focuses on fine garden design. We offer creative vision, exceptional design and impeccable service for homes, estates, healing gardens, botanical gardens, and parks. By focusing on the details of fine garden design, this studio creates beautiful, meaningful, and functional spaces that reflect the unique personalities and lifestyles of our clients. 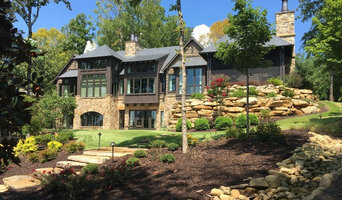 Trophy Landscape is a full-service landscaping company providing service to residential clients throughout Clarkesville, Clayton, Tiger, Lakemont, Sautee Nachoochie, Cleveland GA and nearby surrounding areas. Attractive landscaping creates a positive first impression on visitors to your home, and we're your local experts at developing a creative, unforgettable look for your property. We're a company you can trust with all aspects of your landscape plan, from design to professional installation and consistent high-quality maintenance. We invite you to explore our profile and website to learn more about our services. You may also contact us if you have any questions or would like to schedule service or meet with us to discuss your landscaping vision and create an action plan. Our company offers landscape consultation, design and installation services. We can design a landscape plan to fit your lifestyle, as well as your budget. Earth Design is a landscape architecture firm founded in 1996 by Rick Huffman on the principle of environmental stewardship through ecological design and education. The philosophy of designing with nature is Earth Design's primary focus and this can be clearly seen in each unique and imaginative design. Our extensive training and knowledge of landscape architecture, ecology, public safety, and bioengineering allows us to uniquely give back to the community in ways that benefit the environment and respect our natural heritage. As landscape architects, our experience encompasses a wide range of projects, including environmental inventories and assessments, native habitat restoration, site planning and detail designs for local and regional parks, public works, educational facilities, high end residential and commercial clients. As environmental designers, we are committed to the economic, social, historic, and intrinsic values of environmental stewardship and sustainability. I am a graduate of the University of Florida, Landscape Architecture program and lived in Florida until Spring 2012 where we moved to the Upstate of South Carolina. The work of this outdoor professional includes most everything surrounding a home's exterior. A landscaping architect can even work with the home architect to choose the right spot for your Pendleton, SC house. From there the Pendleton landscaper will develop preliminary concepts for your front or backyard design based on individual needs including the climate and activities that will take place, as well as layouts and planting plans. Landscape architects will also design any structures or outbuildings that will be added to the space. Any grading changes that will be added to the yard are also the responsibility of the architect. This includes any drainage modifications. An engineer can also be responsible for these tasks, but licensed South Carolina landscapers are fully capable. Like building architects, they will produce preliminary concept drawings as well as detailed construction documents and planting plans. Three-dimensional renderings and illustrative plans are all supplementary. A Pendleton landscaping designer generally will have ecological, aesthetic and technical training, which helps them maximize the potential of your outdoor space. Keeping in mind both style and functionality, garden designers analyze your architecture and yard to produce a plan that may or may not include location and materials for walkways, patios, water features, fences, garden aspects and more. In addition, a landscaper in Pendleton, SC will carefully assess your geographic region to choose plants, trees and flowers that will flourish naturally, as well as address concerns such as drainage, screening and soil conditions. Certain landscape designers only help with the planning portion, while some may deliver the plans and then oversee a hired landscaping contractor. Others — typically following a design-build approach — take care of both the design and all aspects of the landscape architecture and construction. Before you hire a South Carolina professional landscaper, consider the scope and emphasis of your outdoor project. Landscape architects, who typically hold advanced degrees in their field, are trained to develop comprehensive structural plans that include plants, hardscaping, water use, drainage and more. Landscape designers typically specialize in the aesthetic and horticultural, rather than structural, side of yard and garden planning. They might or might not have advanced training. Even within their fields, a garden designer may specialize in hardscape- or vegetation-focused designs. In some cases you might need to hire additional help to get the outdoor space you want. Here are some related professionals and vendors to complement the work of landscape architects: . Find a Pendleton landscape architect on Houzz. Narrow your search in the Professionals section of the website to Pendleton, SC landscape architects and designers. You can also look through Pendleton, SC photos to find a space you like, then contact the professional who posted the photo.